This post is a follow-up to the The Fantastic Four – 4 Essential Wild Edible Plants that May Just Save Your Life article. In this post, I demonstrate how to process and eat one of the core four essential plants: Acorns. Turning those bitter tasting nuts that are found all over the place during the fall into something that is not only palatable but rather good tasting is not as difficult as one would think. 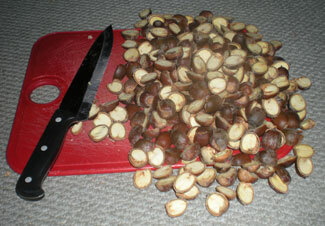 In this post I’ll be demonstrating how to turn acorns into an awesome food source. The first step is rather self-explanatory. But for the sake of being thorough I’ll go through it. While you can collect them directly from the tree, the best place to gather acorns is right under the tree when they fall. Of course, the earlier you can grab these in the fall the better since you’ll be competing with all the other nut-loving creatures (squirrels, chipmunks, deer, acorn weevils, and other survivors besides you ;)). 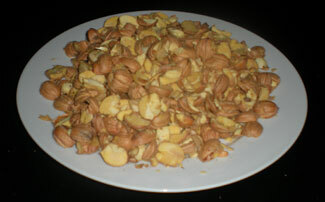 Similar to other nuts, you’ll need to remove the shell of the acorns before you can consume them. There are different ways to do this: Nutcracker, pounding it with a hammer and removing the nut meat, or my favorite way is a two-step process: first cut them all in half with a large kitchen knife and then work at popping out the nut meat using the sharp point of a smaller knife. Now that you have all the nut meat out of the shells, you’ll want to grind these down as fine as possible. The old way is to use a big flat rock as your surface (acts as a mortar) and a smaller round rock used to crush and grind the nut (the pestle) into a fine consistency. Since I like to train in the old way but still use technology when possible, I like using my Greenstar juicer or a food processor. The nuts are softer than peanuts and will not damage these appliances. All the acorns that I’ve processed (yes, even white oak) required that I leeched the bitter tannins out of them before gobbling them down. To do this, bring a pot of water to a boil and pour the acorn meal in it. Let it boil for 5+ minutes making sure to stir the pot so that some of the acorn meal doesn’t stick and burn at the bottom. As an FYI, you could have skipped step 3 and just continued with this step, however I find that it takes way too long to process and wastes too much fuel. By using the ground up meal, it provides a greater surface area and leeches out the tannins much faster. After your initial boil, filter out the acorn flour with a cheesecloth or an old t-shirt (even a sock will do in a pinch). I like to place a colander in my sink and then place the t-shirt or cheesecloth over the colander making a bowl-like depression with it. 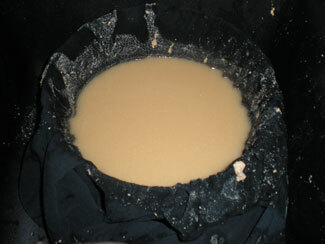 After pouring the liquid into the cloth depression, be careful with the hot water. It’s best to pour cold water into the slurry until it cools off and you can then pick up the cloth filter to help strain the remaining water out. After filtering, you’ll want to do a taste test. Is it still bitter? If so, repeat steps 4 and 5 until the bitterness is out. At this point you’re left with essentially a ball of acorn-flour dough. If you want you can use this right away or if you want to save it for later, you can dry it out. To dry it out, simply spread it out flat onto a cookie sheet and place it in the oven at the lowest temperature until it is completely dry, or do the same thing but instead place it outside (this takes longer). Placing it in a food dehydrator also works great. 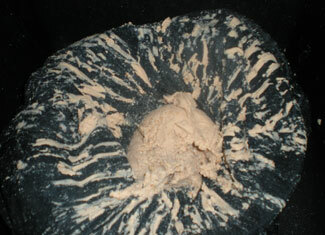 After it has dried out you’ll probably notice that it has caked together (this is due to the high fat content). 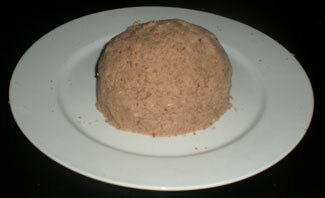 You can store it as is or further process it by crushing it into a powder (by hand or food processor). 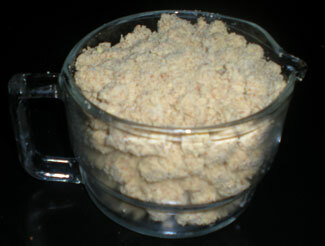 This acorn flour can then be used to make pancakes, bread, or added to cereals or soup. Thanks for the great information. Next fall I’m going to give this a try. Why next fall? There should still be great acorns lying around ready to be eaten. Try it out if you can! Alright then, I will, this weekend. Great site, by the way! That’s great Doug! Let me know how it turns out for you. If you need more pointers or help just let me know. First of all, that’s great that you went and made it! Hats off to ya. Knowing that you have that as an option is the most important thing. As for the taste, I’m not sure what recipe you followed, but the bread I make (see recipe above) is really delicious – even to the most picky of eaters. Erich, my kids filled a 5 gallon pail of acorns from a huge (estimated at 250 years) red oak I have on my property. I am going to make acorn flour and acorn bread with them this weekend. I have a few questions. Considering the high amount of tannin in red oak acorns for how long do you think I will have to boil the meats and how many changes of water? 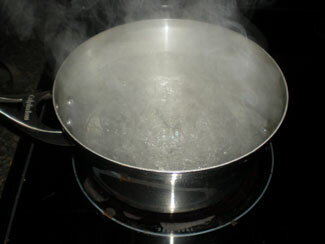 I read elsewhere that when changing water to be sure to put the meat back into already boiling water–cooler water sets the tannin. Have you heard of this? 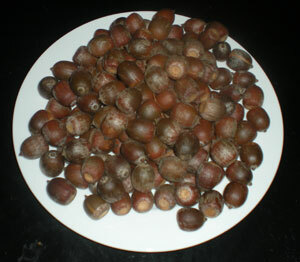 How many acorns should we use for a reasonable project, and can the left over acorns be dried for later use? If so, in the shell or hulled? Finally, where’s the acorn bread recipe you mention to Jimmy? I’ve used red oak quite often when making acorn flour with great results. If you grind the acorns down to a course powder and boil that it usually will not take more than three boilings to leech out the tannins (at around 10-15 min per boiling session). You are absolutely right about making sure that the water is boiling before putting the acorns in (at each session) to ensure that the tannins don’t “set”. Also, if you can’t grind the acorns before boiling, just keep changing the water and boiling until the water no longer becomes dark from the tannins. As far as storing the acorns, I found it best to simply process all the acorns and dry them into flour as explained above. The flour will store for a long time in the refrigerator. If you don’t have time to process them, store them in large ziplock bags, but don’t put them in the freezer (as some suggest) since I’ve found that they turn black and get ruined. Instead put them in the refrigerator until ready to use. As far as how much to make, it seems as though 2 cups of acorns will make around 1 cup of flour. So just figure out how much flour you will need and adjust. The acorn recipe is actually in the How to Eat Cattail article at the bottom. 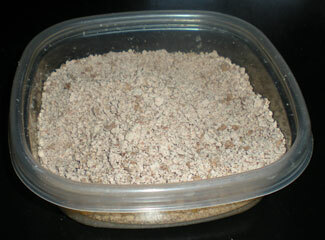 Just use 2 cups of acorn flour instead of 1 cup acorn / 1 cup cattail. Hope that helps! Let me know if you need anything else. How do you store it and how long will the flour keep after drying? Would it be better to keep un-shelled acorns and process them as you need them rather than doing up a large batch of the flour? I typically store the flour in the refridgerator and have had no issues with quality of taste after 6 months (I don’t have much experience after that point). Out of the fridge I can’t imagine they would last more than a month due to the fat content of the nuts (they would go rancid very quick). Un-shelled acorns will still go bad. For example, I’ve kept some in storage (not airtight but just in a bag) and after a year they went moldy. Keep in mind I live in the Northeast where it gets very humid in the summer time which probably contributed to them going bad. I haven’t tried storing them in airtight jars or mylar bags for example but I’d think they would store for some time in an oxygen limited environment. Also, I’d imagine the refridgerator would be a good place to store unshelled acorns as well. Yes it does, thanks for the comments. 6 months is quite awhile. I wonder if storage under vacuum or with oxygen absorbers would extend that even further? I am in the northeast too (MA) and really wish I’d decided to try this sooner. It was a boomer year for acorns here. I may still collect some that are up off the ground and see if they are still usable. I would definitely think that oxygen obsorbers combined with Mylar bags would be the ideal. As for the acorns this year (I’m also from Mass) it really has been a great crop. I was able to grab quite a bit. This late in the season it’s not too easy to find a good quantity of acorns that haven’t been taken by the squirrels or infected with the acorn weevil. I was hiking the other day and collected a bunch of scrub oak acorns. When I took the shells off it seems that nearly 1/2 of the acorns were black in the middle of the seed to some extent. I threw those away but am wondering if this was some kind of rot, or if it were normal. Do you know? It struck me as odd since I haven’t seen anyone mentioning this elsewhere on the internet. Sorry for the late reply. I do believe what you are seeing is rot. When acorns are left to the elements for a while, you’ll see this. Also, the acorn weevil larva that feeds on the acorns in late fall will leave a dark excrement. Either way it’s probably best to avoid unless that’s all you got to eat. I tried making acoron flour for the 1st time this Fall. I found when I boiled the crushed acorns they turned dark brown. I ended up with chocolate colored flour. 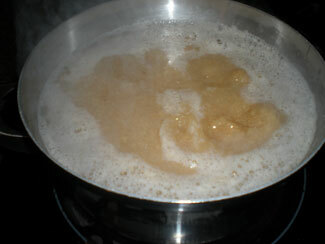 When I leached the next batch in cold water, the flour looked more like whole wheat flour color. I used white oak acorns, so I wonder why my flour was so much darker than yours in your pics? That’s a good question. I’ve actually never tried with white-oak acorns. My experience is with black oak, scrub oak, and red oak species. How was the taste? If it tastes fine, I would assume all is well. Also, did you freeze them before boiling them? I know from experience that freezing them will turn them black. Any idea what the stats are on it before the boil? Good question DK. Not sure on that one. 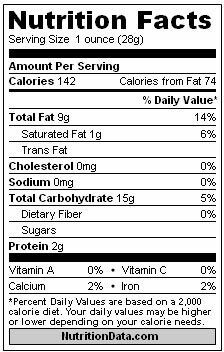 Similar to other nuts/seeds, acorns are primarily good for their fat and protein content. If you’re looking for more vitamins/minerals in a wild-foods diet, you’ll want to supplement acorns with some wild greens. I dunno about that. I gathered up a bag of them in spring, which was difficult cause most had holes in them or were cracked and all that. But after gathering a seemingly good bag of acorns, my wife was messing with them and noticed you could simply squeeze them by hand and crush them, revealing a black mess inside. I think Fall IS about the only time to gather acorns. . .
Yeah spring is way too late for the past years acorns. You’ll need to wait at least until late summer this year. I posted a question concerning that on yahoo answers, and as usual got a totally irrelevant (even if knowledgeable) answer. So I’ll post it to someone who more likely knows what I mean. Since my moronic mishap with the acorns, I realized that I never really did question WHEN these plants are harvested. I can tell you a range of different plants and what all you can do with them, but I seem to not even look into when to harvest their parts! Since it is currently summer, what the heck is there to harvest in the summer? I mean, is there something that you see along roads or even in your back yard that you can use for a huge variety of things? I HAVE noticed some chicory and of course the almighty dandelion, but what else is there? Hey Jason. Summer is a great time to harvest many plants. In early summer, you’ll still be harvesting many shoots, stalks and greens. Mid Summer is a great time to find fruit and annual greens and Late Summer is the time for more fruits, seeds and nuts. Oh awesome, thanks. Not to keep it going, but what about the sumac shoots? I actually just saw a nice big stand of sumac in a ditch close by, was hoping to make it up that way. It’s a bit late for the new shoots but you can pick and eat the new growth that appears at the end of the tree. 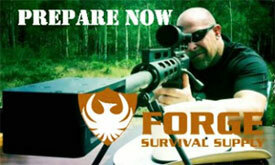 Check out my article on that here to learn how. Ok, my roommates and I tried making flour out of Burr Oak acorns yesterday. It was a bit more work than we anticipated, but all was going well untill we tried to strain it the second time. We boiled the halves, then (because we lack a food processor) we put it in the blender. That resulted in a very thick paste, and beyond that point there was just no straining it. Do you have any suggestions? We ended up calling it good (Burr Oak doesn’t have a lot of tanins anyway, right?) and just dried the paste in the oven, but it took forever. The flour turned out pretty dark in the end too, maybe the oven temp. was too high. . .
What did you use to strain it? If the thick paste resulting from the blending was seeping through the strainer you might need something with a finer mesh. Otherwise I think you guys are right on. The paste can be dried in an oven or outside on a cookie sheet or something similar. And don’t worry about the dark result. That is common and it will still taste good. Well, we first tried a tshirt, because the particles were so fine, but that just made a huge mess. No water was actually straining out. We were going to try a fine mesh strainer, but nobody had one. I think our game plan for next time is to boil and dice it several times over until it’s about the size of whole wheat, then dry it and put it through the grinder. I think that’s a good plan. After it’s leached you can then make it as fine as you want through a blender or food processor. Really enjoyed reading this — thanks! Will try your procedure with some coast live oak or black oak acorns, those being the most common varieties of oak in southern California. Cheapskate that I am, I have to ask: Is the tannin water from leaching the acorns useful for anything? (“Geez, Mary, you’re already getting free food for the gathering, what more do ya want?” 🙂 ) Making ink, dyeing cloth, tanning leather? I haven’t tried tanning leather yet, but I’m willing to try… Or if not, is it safe to pour out on soil being used to grow vegetables? Thanks again for a great article! The tannin water is an excellent astringent for all sorts of medical issues that call for that type of treatment (much like hydrogen peroxide). It can also be used as a dye but if so it should be boiled down quite a bit to get the deep color you want for dying purposes. Also to Mary, a few days late, I can’t remember if it was here that I heard it on or elsewhere, but supposedly tannin ice cubes applied to poison ivy apparently helps get rid of it faster. But anyway, I am totally aware I’ve been half obsessed with this subject for some time now (gotta check date of my first post, maybe), but I won’t bore you with why I still haven’t just experimented myself. I read on another site that to boil your flour and then subject it to cold water (or vice versa) as you stated in step 5, will lock in the tannin. Though, I would prefer to follow your advice considering, as you’ve stated, you make a great acorn bread every year, I also want to make sure that I don’t screw up. I don’t have many chances to do anything that I want to do, so I would like to make sure that if I can pull this off, maybe it’ll be something I can do more often as it will benefit everybody. I suppose this could all be done around a campfire if you had the right tools? Also, if “cold leached” would I also get a useable supply of tannin? I Googled Uses for acorn flour and got all sorts of websites that seem to conflict, but not all of the authors seem to be speaking from experience. It’s quite frustrating, and since I know you test before you blog (thinking about car heater and carbon monoxide, now) you are the only person I could trust asking these questions. NOBODY in my life knows the things that you know and the things I learn from this site, rendering them useless for practical advice. Just to be more annoying, since I know I’ve posted a lot of questions on the subject, I will post a helpful tip! I have a Home Remedies book (compiled by a lot of different doctors) that states something along the lines I have been wondering about on the subject of tannin. People who play sports that end up blistering their hands or feet or other parts of the body can apply a tannin soaked cloth to those body parts twice daily for a week or so and it will basically toughen up the skin (like it does in the tanning process) and prevent blisters showing up after the big game. I suppose that would be great for those who also do manual labor such as working with stone or hand tools and whatnot. I would advise asking the wife or girlfriend whether or not she wants your hands to be like leather ahead of time, though 😉 Get your minds out of the gutter. . .
LOL. Some great tips. Thanks Jason. Can I use chestnuts with the same effect? I’ve never done it personally however I believe any nut can be made into nut meal. Like almonds (which I’ve made into nut meal) chestnuts I don’t believe would require that you leach them. Thanks for the comments Wendy. I haven’t yet found an acorn that I couldn’t process to make a good food. I think as long as you leach them of all their tannins it will be palatable. If you don’t have alot of fuel for a fire, or want to try a really laborious method that is super low tech- may I suggest this. 2. To save on boiling (if fuel is scarce) leeching is easy- Place split or coursly cracked acorns (caps removed) into a large shallow bowl (plastic tarp, bag or space blanket in a hollow in the ground works well) then cover with water and stir in cooled ash from fire (sounds nasty but this is why you dont do more than crack them)- let them sit for up to 24 hours and stir occationally. 4. Now you need to rinse them a few times (easiest is a small mesh bag in a stream in batches) One of the langerei bags works good but an open weave mesh t-shirt, liner from any bag cheese cloth or a basket woven of cattails will do. alternatly divert some of a stream across the bucket made of a trash bag or poncho and stir, stir stir till the acorns are left and the ash is washed off. 7. They grind very easy in this manner between flat rocks (place a garbage bag under bottom rock to catch flour) and clean the rocks in a stream first. 8 Parched leeched acorns will keep in a good vessel for 1 year in a garbage bag, 4-5 years in a sealed bucket and much longer if you do the whole oxygen absorber or dry ice thing. 9. To make bread, mix just enough water with the flour to make a tortilla like flat pancake. Heat a rock on your fire (flat) at the edge of the fire, Hot enough when a little water sizzles. If you have fat, coat the rock with a small amount. Place the cake on the rock, turn a couple of times till brown and dried out a bit. Some very excellent tips Susan! Thanks!! Just wondering, my beloved were going out to hang (hammock) and I noticed a lot of green acorns on the ground. Are these OK to gather or should I wait? Green acorns are likely blackjack or black oak and they are typically always green. If they are already falling then they are ready to process. I moved from Northwest Montana to Northern Utah about a year ago and when exploring/ hiking the foothills here I find thousands of scrub oaks. Curious to know more about this desert variety of oaks & acorns & whether they are edible, I began to research and found your article. Thank you! Very informative and easy to follow. I look forward to making my own acorn flour! I also appreciate the great information in many of the comments sent in and I appreciate you taking the time to respond to many of the comments. I have no doubt I will spend many hours learning much from this web site! Again, thank you! Thanks for the comments! Yes, you can use scrub oak in the same manner (I lived in Utah for a time). Excellent and informative thread. I was curious, does boiling the acorns remove all the fat? One would think it would just dissolve into the water. Have you gotten a chance to compare boiled with cold stream leached acorns? I would also love to learn more about cold water leaching. I’m concocting an idea to put the shelled acorns in net bags and submerge them in a waterfall pool. I wonder if I would need a cage too to keep water critters and others from feasting upon my acorns. I’ve actually never processed them through cold leaching like in a river or in your case a waterfall pool. there were some natives that would process them that way so it must be effective. Regarding leaching out the fat, that’s an excellent question but I’m not sure how I could test that. This is great!!! One thing I was wondering, though… I live in Florida, and there are not that many acorns. Is there a way that I can get acorns from somewhere else, or are there just particular seasons that yield more of the acorns? It’s mid-late September here… any ideas? I’d love to make acorn bread; I think it’s so cool! Sounds yummy too. 🙂 Any comments would be greatly appreciated! Thanks!!! Aha! The T-shirt was still damp today, and it strained through really fast…. as opposed to just sitting there yesterday. Maybe that’s the key, wet the cloth first. Thanks for your comments and sharing your experiences so we can all benefit! My trees have a Huge crop this year. Trying to collect a bunch before the Horses & Cows eat them all. To CB, I don’t know where you live in Florida, but from central Florida on up Oaks are everywhere, and in a lot of places considered a nuisance. For those who have Oak trees in your yard and want to collect Acorns try this, get some 1″x2″ s figure roughly 8 per tree, and get some cheap fiberglass screening. Cut the 1″x2″ s in half and hammer one end into the ground about 1 ft. Make a square about 4ft square. Staple the screen to the post tops draping somewhat loosely so the screen sags in the middle. When the Acorns fall they fall into the “net” and make collecting them easy, also helps keep away bugs and squirrels. Tannin is one of the main things that is used in medication for cold sores (herpes simplex). It will really get rid of them fast. Boil it down and keep a small amount of very concentrated tannin in the medicine cabinet. Apply externally only. The aboriginals would place the acorns in a bag and place inside a toilet tank (it’s clean but sounds yuk) OR they would tie it down in a stream for several days to three weeks to remove the poison. How long does this flour last and will salt help to preserve it? jarring mite cause mold or should it be frozen or left with just a soft towel ontop or kleenex balls over it to gather moisture? I’m going to try the acorn flour but where is the recipe for the bread? how do you know when an acorn is ready to harvest? if they fall on the ground are they ready? if the ones in the tree look the same as the ones on the ground are they ready too? the ones in the picture are brown on the outside but mine are greenish and falling. Thanks Rachel. Yes, plantain is one of my favs as well. I have a tip for storage that I used to use on home cured salmon eggs. When you want to store something in an airless environment, put it in a glass jar, then wad up a small piece of wax paper, put it in on top of whatever you placed in the jar, light it, and then while it is still burning quickly screw the lid on tight. The burning wax paper will use up all the oxygen inside the jar and create an airtight depressurized environment inside the jar and help preserve what’s inside. Great tip! I was struggling with keeping air out of jars. Thanks. 1st: Choose acorns that are Brown and NOT green, then they are ripe! 2nd: if they have a black spot on them then they are most likely have weevils in them. 3rd: Get a bucket of water, if they float they are no good and hollow because the weevils ate the inside, throw them away for mulch or burn them. the ones that sunk in the water are solid and good for processing. Only takes second to do. Old Indian trick! Air dry in sun and then process. 4th: Store in cool dry area and vacuum seal for longer storage, if needed and quantity is enormous, remember some years Oaks produce more than others. Oaks are in real stress due to Sudden Oak Death Syndrome especially here in California. if you own Oak trees, keep them pruned, keep them clean around the base, do NOT allow water to accumulate around base of Oak trees. DO not plant Rhododendrons around Oak trees. I love Cork Oaks, California Live Oaks, and the beautiful Blue Oaks. For color the Eastern Red Oak will brighten your day, shade and color in the Fall. I can’t find the recipe you are referring to for bread. Can you point me to where it is exactly? Thanks! Hi, I’m curious if acorns can replace corn in making ethanol for fuel in a pinch? You can’t expect the “delicious” junkiness of white flour. 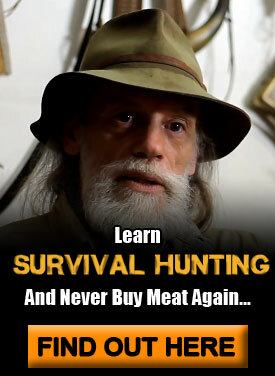 but you won’t die either. You will die, if you eat too much white flour. But you medical “experts” will assure you are NOT dying from white flour. But millons do, from diabetes to leaky gut syndrome, to Celiac disease. So stick to your acorns and other whole, wild foods, and you will get used to them quickly, and if go back to junk food, you will find it tastless and disgusting. Can saw tooth oak acorns be used for acorn flour? I’ve made acorn flour a couple times my question is how long can you keep it if it has been in the freezer? I was surprised to realize that you’d been using black/red/scrub oaks because those are loaded with the tannins that you are processing out. White oak nut meats are edible right out of the shell. They have a mild taste and the mouth feel is similar to a peanut. I’d imagine, for cooking purposes, you’d merely food process the meats and use them like any other flour. Ooh…where is my favorite Dandelion?? I make Dandelion greens, cooked with bacon, tomato & garlic…yummy! I bread & deep fry either the flower buds before they open or the Dandelion flowers themself. I also use the uncooked Dandelion greens in salad…also a wonderful pet food for my Land tortoise…he loved them. The Dandelion roots make a fabulous & tasty coffee! And…don’t forget the ever superb…Dandelion wine! And, another favorie of mine is the Mustard Green which is everywhere here in MA. The greens I love to cook in oil with some garlic, and the little yellow flowers make a wonderful, tasty homemade mustard. The mustard is better than store variety but…you must have LOTS of the tiny yellow Mustard flowers,,,to make even a small batch. I think it’s worth it though. Good article , I learned a lot from the info . Does someone know if I would be able to get a template Acord 22 document to work with ? Thanks so much for your instructions. I did this with cold water and it worked great! We had a bumper crop of acorns 3 years ago, but nothing for 2 years. This year there are enough to make more flour, yea! 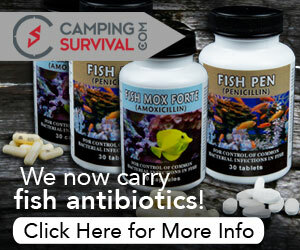 Eating healthy and using CBD from allnaturalway.com has completely eliminated my chronic pain from knee surgery.